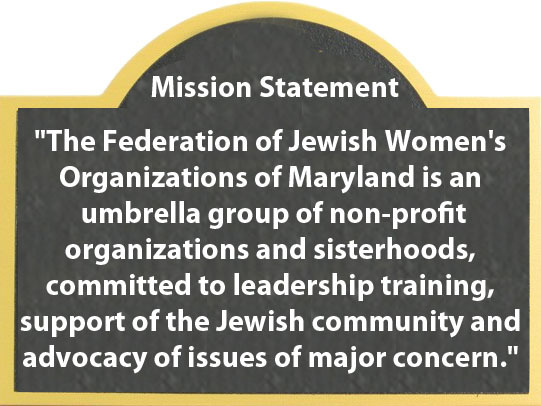 The Federation of Jewish Women's Organizations of Maryland, along with most Jewish organizations, has had a long-standing position supporting the democratically elected government of the State of Israel. For many years, the American Jewish community has been in agreement and has created strong bipartisan support in the U.S. Congress and with the U.S. administration for Israel and her right to exist. Currently there are major discords and shifts within the Jewish community as well as with the U.S. administration on Israel. To urge President Obama and the U.S. Congress to continue its joint and unchanging support for Israel in every way, including foreign aid, to enable peace and security for her citizens and throughout the region. On May 21, 1969, Shirley Chisholm gave an "equal rights for women speech" in Washington, D.C. She so eloquently spoke about the grim reality of a woman college graduate and her "frustrating and demeaning experience" during the interview process. She said: "If she walks into an office for an interview, the first question she will be asked is, 'Do you type?'" She continued to talk about the prejudice behind that statement and wondered why it "was acceptable for women to be secretaries, librarians, and teachers, but totally unacceptable for them to be managers, administrators, doctors, lawyers, and members of Congress." Shirley Chisolm would be happy to know that today in the 113th Congress there are 79 women in the House and 20 in the Senate. It would pain her, however, to know that women in all states make $10,291 less per year than men, on average, according to Expert Market. 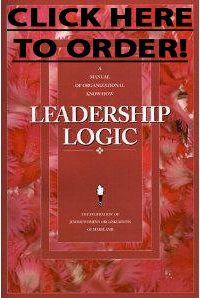 Other recent research paints an even more discouraging picture. In 2013, women made just 78 percent of what men were paid, on average, according to the Census Bureau. The gender pay gap has narrowed since the 1970s. But at the current rate, it will take 75 years for women to have equal pay, a July report from Oxfam found. Women pay $1 billion more each year in individual health insurance costs even though they tend to take better care of their health than men, according to a 2012 report released by the National Women's Law Center. By law, under the Affordable Care Act, passed in 2010, all health insurance providers must stop pricing women differently starting in 2014 — but so far in the vast majority of states, insurance providers are still taking a little extra from their female policy holders and in many cases are not making provisions for or providing reproductive health options. If you're in the top 10 percent of earners, you're overwhelmingly likely to get paid sick days in addition to your high wages. If you're in the bottom 10 percent of earners, you have just a one in five chance. That means that the less you can afford to give up a day's pay, the more likely you are to have to do so if you or your child get sick. The Federation of Jewish Women's Organization has a long-standing history of support for women's issues and wishes to reinforce equality for women. Forced labor involves occupations such as domestic maids, nannies, agricultural workers, hotel housekeepers, prostitution workers, and nail salons employees. These professions have a large number of undocumented workers who are forced to work below minimum wage, required to work off a debt to pay for costs related to their room and board, often in substandard conditions. Accept a woman's right to make her own choices with regard to her professional, personal, medical and spiritual life The Federation of Jewish Women's Organizations of Maryland reaffirms its position and is opposed to human trafficking of any kind and encourages nations worldwide to enact legislation and to adopt and enforce strong penalties against those who traffic women and children. 2015 marks the 50th anniversary of the Voting Rights Act of 1965 (VRA), an act of Congress that addresses discrimination against minorities in voting. The VRA has been amended five times to protect the voting rights of all Americans. The right to vote encompasses more than the ability to cast a ballot. The Voting Rights Act of 1965 (VRA) makes clear that this right includes "all action necessary to make a vote effective." Three principles are at work here: (1) all Americans should be able to vote, (2) voting should be free and easy, (3) all votes should count equally. Since the nullification of the VRA in 2013 by the U.S. Supreme Court, individual states are now free to pass laws limiting a citizen's right to vote with voter ID laws (including when and where individuals can register), restricting third party registration, and regulating early and absentee voting. All of these have an adverse effect on the voting process and voter turnout. Be it further resolved that The Federation of Jewish Women's Organizations of Maryland, assembled in convention on May 7, 2015, encourages its members to participate actively in non-partisan campaigns that seek to increase voter turnout for the 2016 elections.